The papaya, a previously exotic and rare fruit, is now readily available at most times of the year. Papayas grow in tropical climates and are also known as papaws or pawpaws. Their sweet taste, vibrant color and wide variety of health benefits are just a few reasons to add them to your diet. Papaya enjoys a rich history, and has been used since very long for medicinal uses in day to day life. The Mayans used to worship papaya trees and called it theTree of Life. It is said to be one of the favourite fruits of Christopher Columbus. The story goes that when his crew landed in America after a long sea voyage on meager meal, the native people welcomed them with extravagant feast, which caused digestive problems. 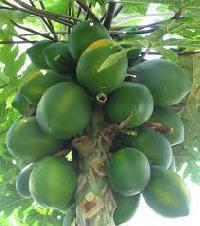 The natives took the voyagers to the forest and offered them papaya and they got cured.The leaves, seeds and the milk of the papaya tree are used to cure intestinal problems and kill intestinal worms and parasites. Papayas, native to Central America, have been long revered by the Latin American Indians. Spanish and Portuguese explorers brought papayas to many other subtropical lands to which they journeyed including India, the Philippines, and parts of Africa. This revered tropical fruit was reputably called the fruit of the angels by Christopher Columbus. Papayas offer not only the luscious taste and sunlit color of the tropics, but are rich sources of antioxidant nutrients such as carotenes, vitamin C and flavonoids; the B vitamins, folate and pantothenic acid; and the minerals, potassium, copper, and magnesium; and fiber. Together, these nutrients promote the health of the cardiovascular system and also provide protection against colon cancer. In addition, papaya contains the digestive enzyme,papain, which is used like bromelain, a similar enzyme found inpineapple, to treat sports injuries, other causes of trauma, and allergies. Papayas are an excellent source of vitamin C and one single medium fruit provides 224% of your daily needs. Papayas are a good source of folate, vitamin A, magnesium, copper, pantothenic acid and fiber.They also have B vitamins, alpha and beta carotene, lutein and zeaxanthan, vitamin E, calcium, potassium, vitamin K and lycopene, the powerful antioxidant most commonly associated with tomatoes. Papaya is rich in fibre, Vitamin C and antioxidants which prevent cholesterol build up in your arteries. 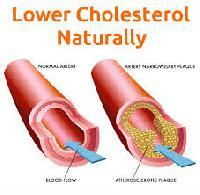 Too much cholesterol buildup can lead to several heart diseases including heart attack and hypertension. Read more aboutfoods that can help reduce cholesterol. Those looking to lose weight must include papaya in their diet as it is very low in calories. The fibre content in papaya leaves you feeling full and also clears your bowel movement making your weight loss regime easier. Read about morefoods that can help you lose weight. Your immunity system acts as a shield against various infections that can make you really sick. A single papaya contains more than 200% of your daily requirement of Vitamin C, making it great for your immunity. Read more aboutfoods that can boost your immunity. Papaya is an excellent food option for diabetics as it has a lowsugar content even though it is sweet to taste. Also, people who dont have diabetes can eat papaya to prevent it from happening. Here is ahealthy diet plan for diabetics.